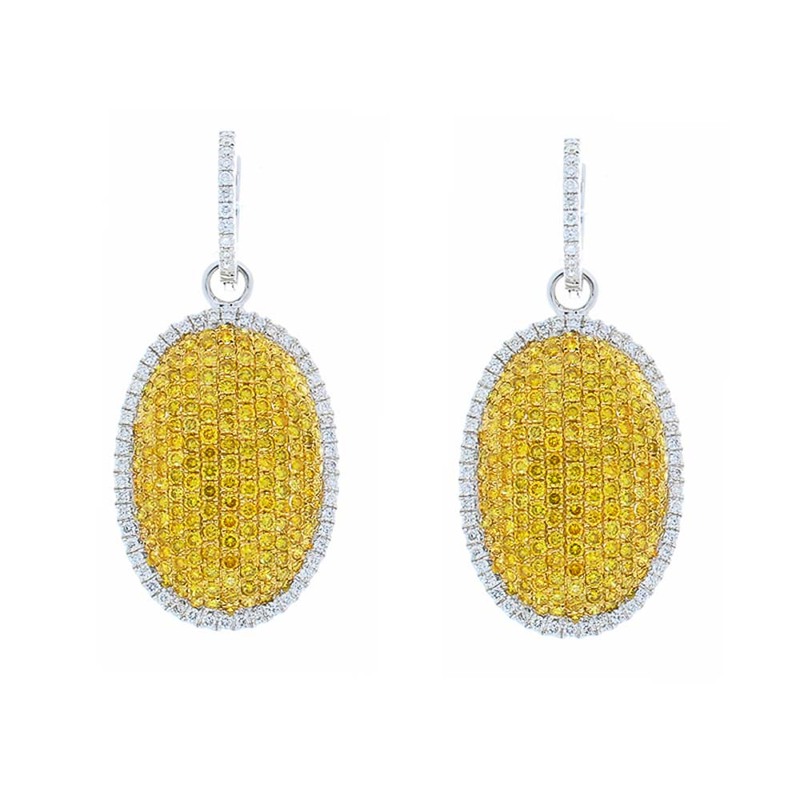 These earrings are exemplary vivid yellow diamonds. Skillfully set are dazzling pave-set natural fancy vivid yellow diamonds that total 3.04 carats. The intensely lemon yellow diamonds are surrounded by glittering halos of brilliant white diamonds that make their way up to the ear and total .69 carats. The earrings have been expertly crafted of enduring 18 Karat white and yellow gold. The movement of these earrings combined with the sheer number of diamonds maximize the fire of this piece.